In the barrage of DC Comics' news coming out of San Diego Comic Con there was a cool nugget of information to emerge from Friday's panel. Batman's unofficial sidekick, Duke Thomas, is finally getting a codename and his own series. 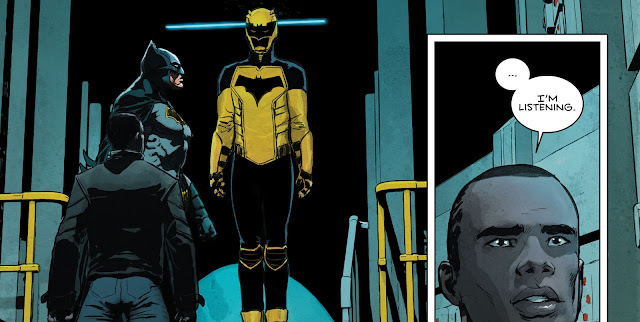 When asked about Duke, the esteemed writer of Batman Scott Snyder revealed that he'll be writing along with DC Talent Workshop product Tony Patrick the series, Batman: The Signal. 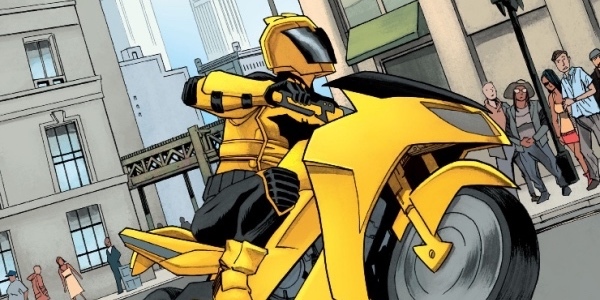 “Gotham’s hero by day,” according to Snyder, will be known as The Signal, thus the title, but no release date or artist has been announced. Duke joined the We Are Robin movement and became one of hundreds of civilian teenagers to don the Robin R and fought for their city. Eventually, he would leave the movement and join the Batman Family officially as a vigilante mentored by Batman himself.